Do you have questions about us or our culinary discoveries? Maybe our FAQS can help you! If your questions remain unanswered, we are pleased to help you by phone or email! How long lasts a culinary stroll? A culinary discovery takes about 3 hours. We will introduce you to 5-6 restaurants or localities at each culinary stroll. Each location serves a dish (sample). For most of the people this is usually sufficient to not need any lunch or dinner anymore. Which restaurants / locations are included? We want you to be surprised; therefore, our partners will not be named before. If you want to repeat a culinary discovery, please contact us in time - it might be that the discoveries after some time change a little. Can I get on a waiting list if a culinary discovery is sold out? How many people can attend a public culinary discovery? Can I book a private culinary discovery? Of course! 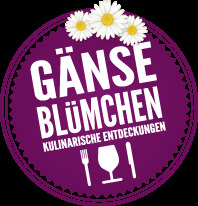 Just send us an email to office@gaensebluemchen.at and we can send you our offer – from 1 to 500 persons! Will the culinary strolls also take place in case of bad weather? Are the culinary discoveries wheelchair and baby stroller accessible? Most of our strolls are wheelchair and baby stroller friendly and accessible. But anyway, please give us a short call to inform us. Can I bring my dog to the tour? In accordance to our partners, other guests and the organizational procedures, we ask for your understanding that this is no allowed.